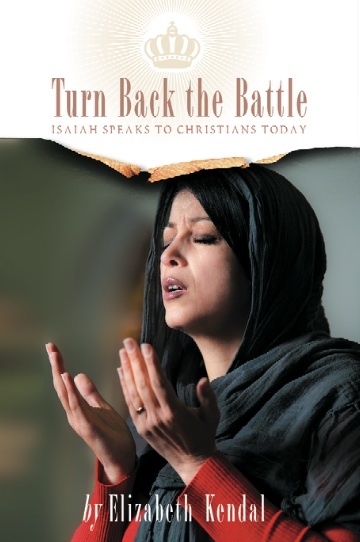 ATTENTION Melbourne, Australia: The Centre for the Study of Islam and Other Faiths (CSIOF) will officially launch Elizabeth Kendal's book -- Turn Back the Battle -- at Melbourne School of Theology (MST) on Tuesday 30 April at 10am. Local intercessors welcome! Subsequent to this, Elizabeth will host a symposium entitled, 'Confronting Persecution in the 21st C'. Date and venue: Wednesday 15 May from 7pm at Glen Waverley Anglican Church (supper provided). Again -- all welcome. APRIL 2013 UPDATE -- During April we prayed concerning . . .
* BANGLADESH (RLPB 204), where a long struggle for the heart and soul of Bangladesh appears to be entering a critical and dangerous stage. * EGYPT -- LAWLESS SINAI (RLPB 205), where refugees being trafficked are tortured for ransom and routinely killed. The refugees -- mostly Eritreans, many of whom are Christians fleeing religious persecution -- are kidnapped from Sudanese refugee camps and sold to Bedouin gangs in the Sinai. Eritrea, Sudan and Egypt refuse to do anything to stop what is a highly lucrative business that is hurting only people about whom they care absolutely nothing. Pray that the Lord of Hosts will bring justice to the Sinai (Isaiah 59:15b-19). UPDATE: Egypt is pouring tanks into the north-eastern Sinai in breach of its peace accords with Israel, ostensibly to tackle terrorism (which does not include human trafficking). May God's will be done! Pray for radical change in Eritrea, the source of the humanitarian problem. * UZBEKISTAN (RLPB 206), where Protestants, most of whom are converts from Islam, are systematically harassed and persecuted by the local population as well as by the authorities who regard them as a threat to social cohesion. Fines for unregistered Christian witness and worship are massive. APRIL 2013 ROUND-UP -- also this month . . .
Forum 18 reports that two Baptists in Azerbaijan's north-eastern Zakatala District have been fined the equivalent of more than a year's minimum wage for violating Article 299.0.3 of the Code of Administrative Offences, that punishes clergy and religious associations holding unregistered meetings. The two Baptists -- Pastor Zaur Balaev and Hamid Shabanov -- have both previously spent time in prison for their faith. Their church has been seeking state registration since 1994, but to no avail. Pastor Balaev (whose wife is suffering with cancer) said that, though he cannot pay, he will not appeal the fine as he knows he broke the law. 'I would rather take the State Committee to court for refusing to register us for so many years,' he said. Pray for the Balaev and Shabanov families and for the Church in Azerbaijan. On Friday 5 April an imam in Khusus (a poor area on the outskirts of Cairo) issued a call from the mosque: 'Kill the Christians and cleanse Al Khusus' of 'infidels'. Four local Copts were killed in the subsequent Islamic pogrom. On Sunday 7 April, as Coptic Christians gathered at St Mark's Coptic Orthodox Cathedral in Cairo for the funeral of the four, Muslims came and started stoning the mourners. The mob grew as more and more Muslims joined in, many arriving with weapons, including guns and Molotov cocktails. Cairo police took more than an hour to respond and when they did arrive, they did nothing to quell the attack. Live TV footage shows most police remaining motionless throughout the attack, while some actually join in, lobbing tear gas grenades into the church compound. One Copt died from gunshot wounds whilst dozens were wounded. The economy is in decline, food security is precarious and Islamic intolerance is soaring. Egypt is a tinderbox! Pray for the Church in Egypt, a land of promise (Isaiah 19:16-25). * SOMALIA: 'WHO CAN HEAL YOU?' (Lamentations 2:13). On 8 December 2012 al-Shabaab militants shot and killed Mursal Isse Siad (55) outside his home in Beledweyne, 332km (206 miles) north of Mogadishu, in retaliation for his leaving Islam for Christianity. Siad's widow, Fartun Omar (42) gathered up their five children and fled from the house. Rumours were circulating that al-Shabaab was hunting for her because she, like her husband, was a secret Christian. Therefore Omar decided to leave Beledweyne and seek refuge with relatives. Morning Star News reports that on 10 April the family boarded a bus which was subsequently stopped at an al-Shabaab roadblock. After screening all the passengers, the militants ordered everyone back on the bus including Omar's children, but having recognised Omar, they kept her. By 13 April it had been confirmed that Omar had been executed for her faith. Whilst Said and Omar's five children are safe in the custody of a neighbour, they have lost both parents. Pray for the Church in Somalia. * SYRIA: 'YOUR RUIN IS AS VAST AS THE SEA' (Lamentations 2:13). On Monday 22 April two of Syria's most senior Christian clerics -- Bishop Yohanna Ibrahim, head of the Syriac Orthodox Church in Aleppo, and Bishop Boulos Yaziji, head of the Greek Orthodox Church in Aleppo -- were kidnapped by foreign, non-Arabic speaking terrorists. Middle East Concern reports that the two bishops were on a humanitarian trip to an area near the border with Turkey as part of the negotiations for the release of two priests kidnapped on 9 February. Bishop Ibrahim, his driver and another Christian drove to the Turkish border to collect Bishop Yaziji at a rebel-held border crossing. Subsequently, as the four were returning to Aleppo their car was ambushed and the bishops kidnapped at gunpoint. The driver (a priest) was murdered, while the other passenger managed to escape. Pray for the Church in Syria and that the Lord of Hosts will intervene in that land. 'But this I call to mind, and therefore I have hope: The steadfast love of the Lord never ceases . . .' (Lamentations 3:21,22a ESV). Uzbekistan, a predominantly Muslim former Soviet Republic in Central Asia, has been ruled by Islam Karimov since 1989. Karimov continues to operate according to Communist Soviet paradigms and society is heavily regulated. The main threats to the State come from Hizb-ut-Tahrir revolutionaries and Islamic Movement of Uzbekistan (IMU) jihadists. IMU was a local body founded in 1996 with the specific aim of overthrowing the Karimov regime and establishing an Islamic state. However, in a February 2013 report for the Centre for International and Strategic Analysis, Dr Syed Manzar Abbas Zaidi explains that the IMU has 'morphed into a lethal non-Arab al-Qaeda entity'. By 1998 government crackdowns had forced the IMU to flee into northern Afghanistan where it set up military training camps in alliance with the Taliban. When US forces invaded Afghanistan in late 2001 the Uzbeks found sanctuary in Pakistan's tribal regions. Because most had university degrees and experience in the Soviet military they rose quickly as leaders. Today, Uzbeks comprise up to 90 percent of the many thousands of foreign fighters in Pakistan and hold some of the most significant leadership positions in the international jihadist movement. Aided by sympathetic Afghan and Pakistani officials, they travel the region freely, disguised as merchants. So the threat to the Uzbekistan is real and not a mere pretext for repression as the West often claims. Meanwhile the violent and indiscriminate nature of the regime's repression only encourages more Uzbeks to seek solutions in revolutionary and jihadist Islam. Uzbekistan's religion laws mandate that all religious groups must be registered with the government. However, registration is exceedingly difficult to get, designed as it is to weed out small, non-traditional groups. Whilst the main targets of the laws are seditious Islamic cells, it suits the authorities that Protestant Christians are swept up in the same net. Though they are a totally peaceful tiny minority (0.3 percent), the authorities despise the Protestants, regarding them as a threat to social cohesion (due to conversions, particularly from Islam). On 11 April Forum 18 reported that on 4 February the Tashkent Regional Court upheld a decision to levy massive fines against four Protestants: Gennady Chen, Vladimir Zhikhar, Aleksandr Lokshev and Gennady Timoyev. Each was fined 50 times the minimum monthly wage for leading unregistered worship. All religious literature is under tight state censorship and Protestant believers found in possession of Christian literature are routinely charged with illegal production, storage, import or distribution of religious material. Fines are often exorbitant. On 10 February police raided the home of local Protestant Jamila Jurakulova. Found in possession of seven Christian books and ten DVDs, Jamila was fined 50 times the minimum monthly salary. Samarkand Regional Court recently upheld the decision. On 22 March a Criminal Court fined local Protestant couple Ashraf and Nargisa Ashurov 100 times the minimum monthly wage after officers from the Anti-Terrorism Division found religious literature stored in the house they had been renting from a foreign Christian. Their baby-sitter (not a believer) was present during the raid and was also fined. Forum 18 also reported (12 April) that on Sunday morning 24 March security officials raided a small Baptist fellowship in Mubarek, abusing worshippers as 'backward-looking fanatics who drag society down'. The eight adults and four children present in the home of local Baptist pastor Vladimir Khanyukov were photographed and are now awaiting decisions regarding their punishment. Rasulon Ahmedov, a member of a registered (legal) Baptist church in the Ferghana Valley, was recently fined 20 times the minimum monthly wage for discussing his religious beliefs with his neighbour. The court deemed that 'missionary activity', which is illegal in Uzbekistan. Many prosperous Western Christians might rather risk their lives and become martyrs for Christ than risk their life savings and become destitute for him. In Uzbekistan, witness, worship and possession of Christian literature can lead to impoverishment. It is a cruel and unjust strategy that in truth has nothing to do with security and everything to do with making Protestant Christianity undesirable, both to its members and to the masses. Despite this, Uzbekistan's Protestant and independent churches are growing -- and 'God is not ashamed to be called their God' (from Hebrews 11:16 ESV). Uzbekistan's President Islam Karimov rules according to Communist Soviet methods, so society is heavily regulated. Revolutionary and jihadist Islam are real threats to his regime. Religious laws primarily targeting these Islamic groups are also used to persecute Protestant Christians whom the regime considers are threatening social cohesion. Small house churches are routinely raided by hostile security police. Protestants charged with breaching the religion law by possessing Christian literature, witnessing or worshipping without registration face exorbitant fines often 50 and 100 times the minimum monthly wage. These fines leave them destitute. This persecution has nothing to do with state security and everything to do with making Protestant Christianity undesirable to its members and to the masses. Despite this, Uzbekistan's Protestant and independent churches are growing. Please pray for them. It was in the Sinai desert that the nation of Israel received God's law. Consequently we tend to think of the Sinai as a place of law-giving. Today, however, under Egyptian control, the Sinai (particularly the north-east) is absolutely lawless -- a place of law-breaking. Not only has al-Qaeda established a presence, but Bedouin criminal gangs and human traffickers operate with impunity. The Egyptian government knows that the clusters of concrete buildings dotting the Sinai desert are being used as torture chambers by human traffickers. The traffickers relay their victims' agony to family members or diaspora groups via mobile phone to facilitate payment of ransom. Even when ransom is paid it is not uncommon to find that victims are subsequently sold on to other traffickers who repeat the process. Failure to pay will result in death by torture, including through the extraction of saleable organs. New York Times (NYT) estimates that some 7000 refugees have been abused this way in the past four years and that 4000 of them may have died. 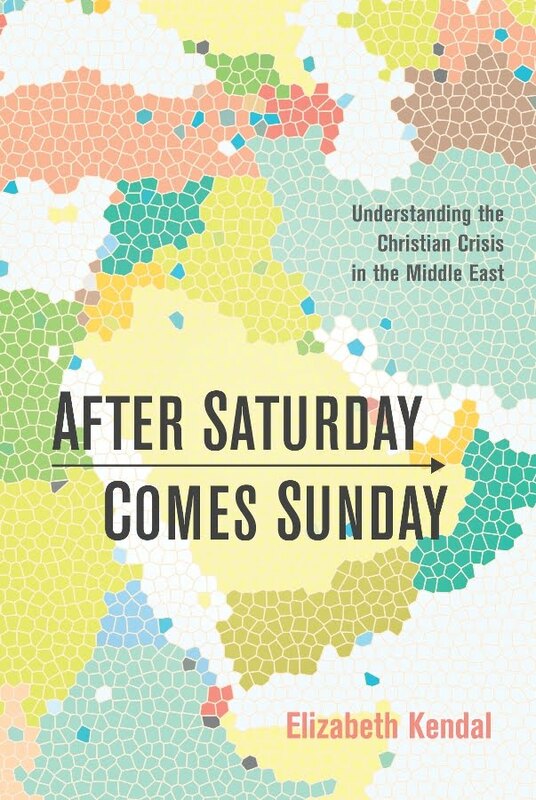 The victims, mostly Eritrean (99 percent) as well as Somali and Sudanese refugees, include many Christians who have fled persecution in their homelands (see RLPBs 185 and 187, November 2012). Most of the victims have been kidnapped from the Shagarab refugee camps in eastern Sudan, home to tens of thousands of Eritrean refugees, and then transferred to the Sinai where they are sold to criminals. Eritrean opposition groups are demanding that Sudan improve security at the camps. Chairman of the Ethiopia-based Eritrean Democratic Alliance (EDA), Tewelde Gebresilase, says human trafficking is carried out by a highly organised network that stretches from Eritrea to the refugee camps in Sudan and to the Sinai Peninsula in Egypt. It is a highly lucrative business, not only for the Bedouin, but for the Eritrean, Sudanese and Egyptian officials who are involved either directly or indirectly through taking bribes. According to intelligence sources, it is a major form of revenue for the corrupt and wicked regime ruling Eritrea. Recently five Eritreans escaped from their captors during a fierce night storm. Whilst two perished en route, three made it to safety. Mhretab (27) is frail and heavily scarred. 'We had barely anything to eat or drink,' he explains. 'And we weren't allowed to sleep. If we did, they burned us. They scorched the skin on our arms or backs with burning plastic, or they burned us directly with lighters. They hung us from our feet and hit us. If we cried, they called our families and we had to beg them over the phone to pay for us.' By selling everything they owned and taking up a collection at church, Mhretab's family raised the ransom. But instead of releasing Mhretab, his kidnappers sold him on to other human traffickers. Lemlem (15) is totally traumatised. Wearing only a sweater, she asks the home owner if there is any underwear she can put on. In another case, Ahlam (8) saw her 'parents' brutalised and other hostages murdered. On 12 March her captors put her on the phone to Swedish-Eritrean radio journalist Meron Estefanos. After recalling the horrors she had witnessed, Ahlam confirmed that the traffickers were threatening to take her from her 'parents' and sell her on to another gang. Fortunately for this family, they were released alive in late March after payment of ransom. Ahlam's uncle Adem, who had posed as Ahlam's father so he could stay with the women of the family to afford them some protection, has been hospitalised with serious torture injuries. Ahlam's father negotiated their release from Canada while claiming to be 'a distant relative in Saudi Arabia'. Ms Estefanos told NYT last year that Eritrean relatives sell land and possessions to raise ransoms. 'They borrow money from people, go from church to church,' she said. This evil thrives because nobody is prepared to act against it. Egyptian President Morsi would say it is not in his interests to pick a fight with criminals who are hurting only non-Arabs and mostly non-Muslims anyway, posing no threat to him personally or politically. The Arab-supremacist, Islamist President Bashir in Khartoum, Sudan, would say the same. As for the Eritrean regime at the source of the problem, it is certainly not in its interests to see its refugees protected or its human trafficking revenues cut off. The whole situation would be totally hopeless were it not for the reality of the Lord of Hosts. * who demands 'Let my people go,' will shake the Sinai and break the arm (the mechanism of action) of the wicked (Psalm 10:15), that his people might be delivered and law and order restored to the desert. * will send his forces to guard the mostly Eritrean refugees -- many of whom are Christians -- in Sudan's Shagarab camps. 'The angel of the LORD encamps around those who fear him, and delivers them.' (Psalm 34:7 ESV); may all the refugees look to him and put their hope in him. Please pray Psalm 10 over Eritrea, Sudan and Egypt, '. . . so that man, who is of the earth, may strike terror no more' (v18b ESV). Political and religious refugees fleeing repression and persecution in Eritrea often end up in eastern Sudan's Shagarab refugee camps. These camps are grossly insecure and refugees are routinely kidnapped and sold to Bedouin criminals in Egypt's lawless Sinai desert. Here they are tortured until ransom is paid. Some are released alive, but many traffickers take the ransom and then sell their victims on to other traffickers. It is estimated some 7000, mostly Eritrean refugees, have been abused this way in the last four years and that around 4000 may have died. Amongst the victims are many Christians who have fled persecution. Eritrea, Sudan and Egypt have no interest in stopping what is for them a very lucrative business. Please pray for the Lord of Hosts to intervene. If Bangladesh does not change its present trajectory, it will be sucked into a vortex of bloody civil and sectarian conflict. In 1971 as many as three million were killed when Bangladesh fought for independence from Pakistan. Bangladeshi Islamist groups such as the Jama'at-e-Islami aided and abetted the Pakistan military in war crimes. Though the war ended, the ideological struggle continued. Since independence, political power has oscillated between the pro-Pakistan, pro-Islamist Bangladesh Nationalist Party (BNP) and the quasi-secular Awami League. After the 11 September 2001 terror attacks, the US invaded Afghanistan via Pakistan. In Bangladesh, Islamic fundamentalist, mostly Taliban-trained clerics denounced the 'war on Islam', whipping up Islamic indignation. Islamic rage was reflected in Bangladesh's October 2001 election results which saw the secular Awami League led by Sheikh Hasina routed and the Islamic BNP led by Khaled Zia -- in coalition with some very radical Islamist groups -- sweep to power. The hard-line Islamist Jama'at-e-Islami Party, the BNP's principal coalition partner, went from holding one seat to 17 seats. * raise up peacemakers and agents of reconciliation, empowering their voices and blessing their efforts, so that the rioting will end and the rage subside, giving wisdom a chance to be heard and reason a space to take root. * 'send out his steadfast love and his faithfulness' to shield and protect his vulnerable Church and provide all their needs for shelter, sustenance and security. Protests and counter-protests between pro-secular and pro-Islamist forces erupted in Bangladesh in February. The situation is increasingly out of control as the protests spread beyond Dhaka and have become riots. Some 100 people have already died. War crime trials have helped provoke the protests. Senior opposition figures are being sentenced to death for crimes allegedly committed in the 1971 War of Independence. Many analysts (not just Islamists) fear the trials (which lack due process) are politically motivated. In return, Islamists claim the pro-secularist protesters are 'anti-Islamic'. Islamist websites contain threats to eliminate all 'infidels'. Human rights monitors confirm that minorities (mostly Hindus, who comprise 10 percent) are being specifically targeted. Christians are exceedingly vulnerable at only 0.6 percent of the population. Please pray for the Church in Bangladesh.